The Waeco TropiCool TCX 35 Cools or Heats the choice is yours. 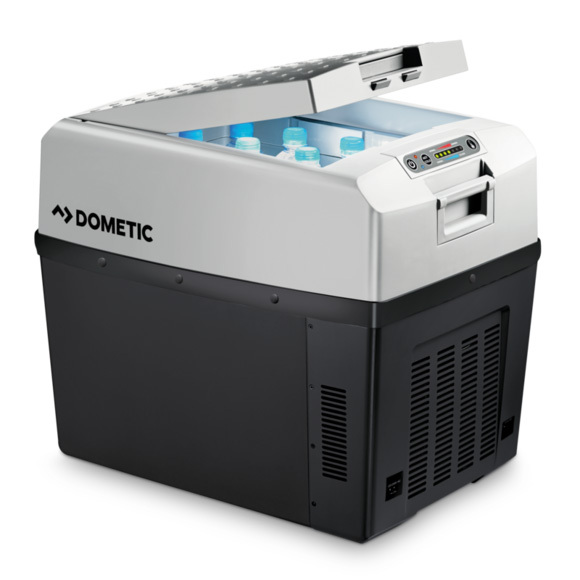 The temperature controlled storage volume is 33 litres. Super fresh design with new simple to use display, relying on all the values learned from making these boxes for many years the redesign has retained the all-important intelligent power-save circuitry and cooling or heating functions. Temperature Range 1°C to 15°C or 50°C to 65°C. Dimensions: 550mm(w), 460mm(h) , 376mm(d). Internal dimensions: 350(H)x 280(W)x 355(D)mm. An example of what type of gastronorm containers can optionally be fitted to the TCX35. Suitable for the following stainless steel gastronorm containers, customers may also use the less expensive polycarbonate versions.